The elegant Longines Conquest V.H.P. 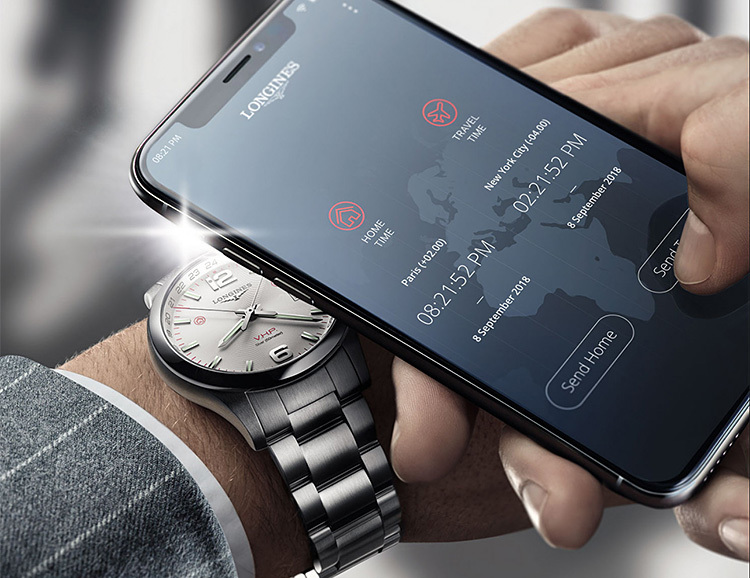 Flash Setting watch takes the brand’s globe-trotting VHP technology a step further—allowing users to get fast & direct global time settings without wi-fi or bluetooth. The technology uses light sequences transmitted by the user’s smartphone flash to sync with the watch. Available in steel or black PVD finish, the 41 or 43mm case features a secondary time zone, hour, minute, second & date display.